Go Back Spouses is about a newly divorced couple in their mid-thirties from 2017 who are transported back to their college freshman year in 1999. The trope is used for both laughs and plenty of poignant moments. As mentioned, Jin Joo's relationship with her mother is particularly beautifully done, as in Jin Joo's present her mother has already passed away (and without ever seeing her grandson, in a moment that seriously made me bawl my eyes out). Jin Joo therefore appreciates every moment with her mom in the past, which feels so beautifully thought out and a good reminder for all of us. Indeed, what surprised me the most about this show is how varied and strong the emotional threads are with all the characters. I've cried more watching this than I have with any drama in months, and this is despite its outlandish sense of humor. I also generally like all the characters, even the ridiculous friends, though I will say some of them can really tone it down. In terms of our central couple, I was originally a fan of their reunion during the early episodes, as it was so clear they broke up due to circumstances and misunderstandings. Unfortunately, I'm not even close to being a fan of their reunion now. While I think external factors still played a role in their divorce, I think there's plenty of blame to be put on the way they treated one another, and especially how Ban Do treated Jin Joo. In all of their past scenes, there's this strong undercurrent of lack of appreciation in everything he said and did with her. He was regularly dismissive of his wife's feelings and words, as well as downright patronizing and insulting in both their past and present timelines. Such as when she decided to run for the May Queen competition and all he could tell her was how embarrassed she'll be when she comes last. Now that's how you make an otherwise fine male lead completely lose my support. Ban Do has clearly learned remorse, but I'm thinking it's a little too late for that. 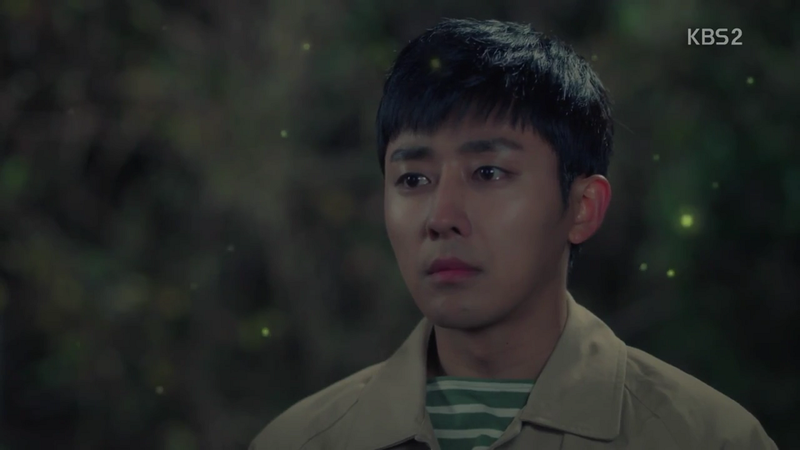 Why did it have to take such extreme circumstances as time travel and a prettied-up May Queen scene to finally make him recognize how great she is? Anyone who's that obtuse about someone they're with clearly doesn't deserve them, and at this stage I can only hope Jin Joo will draw out his redemption. I probably still won't be on board, but I also recognize that they have a son who would not otherwise exist in the present timeline if they decided to not be together. The one thing I do like are their scenes from the past, aka the real 1999, when Ban Do was so syrupy sweet and in-love. Now there was the sort of relationship you'd dream about, where two people love each other enough to ignore all circumstances (like when he bought those peaches for her...awww). The problem is that things took such a massive downturn in their lives after. 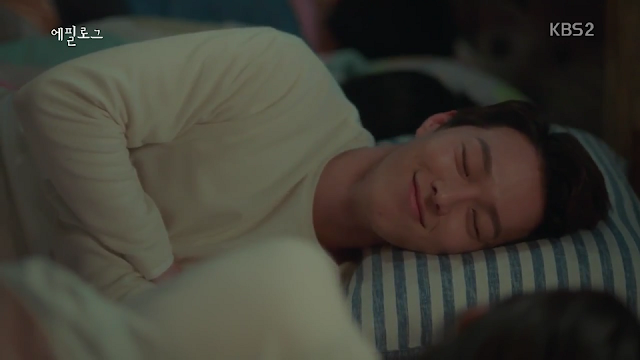 That brings me though to our literally perfect second lead, who's the textbook definition of a Kdrama hero (secretly rich, quiet, misunderstood, falls for our heroine's quirks) but who I absurdly love and wish Jin Joo would too. It's more than just about him being good looking (which he totally is - and so incredibly tall). It's about the fact that he's clearly smitten with her and willing to do what it takes to take care of her. 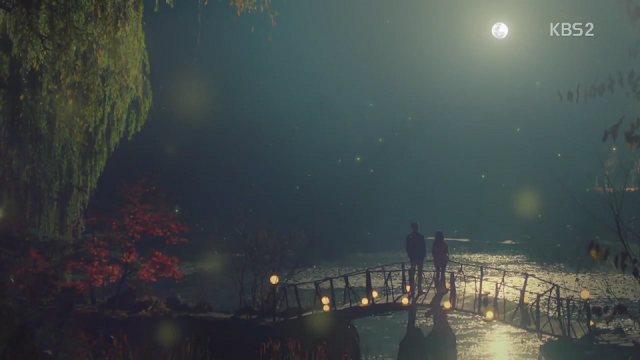 If I could write my ideal ending for this show, it would be for both leads to reconcile as friends, recognizing that the romance period of their lives is now over, and then be transported back into their original lives (but preserving some of the changes made during their short stint in their past, such as her having gotten to know Jung Nam Gil). They would still have gotten married and thus their son would still exist, but will also still be divorced, though now with closure on their relationship. Then, she'll be out and run into Nam Gil (who the drama specified as still single in the present timeline), who will remember her as his first love. They'll reconnect and start over from there. 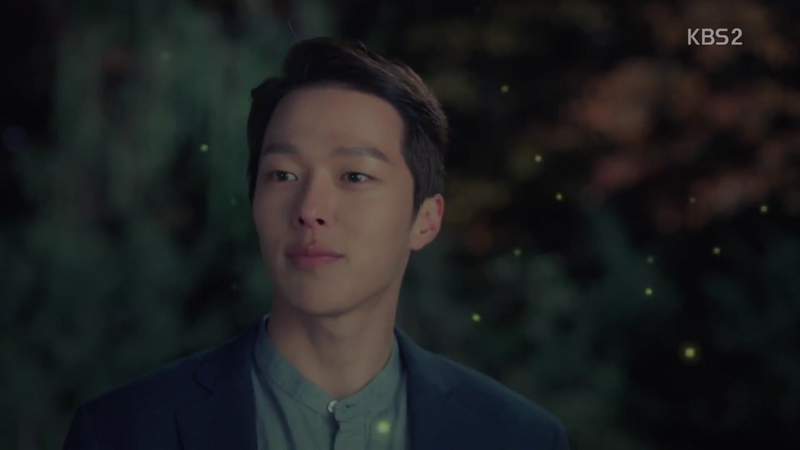 And perhaps Ban Do will run into his first love Seo Young, who is now his same age, and they'll be together as well. I'm thinking this ending is unlikely given our main couple is probably still our end game, but gosh wouldn't it be great. The guy who plays Nam Gil and Jang Nara have so much more chemistry than her and Ban Do (who feels more like a great friend) and I personally feel that there are very few things that can enable a couple to reconnect after a divorce. Ultimately it's about moving on, both as a couple and individually. I'm willing to see where this drama will take us, and am almost afraid to click on episode 10 after the incredible sweetness of Nam Gil at the end of episode 9. Seriously, that fist pump and smile totally stole my heart.